New Delhi: ‘Jan Jan mein hai bal, swachh ho raha hai humara vatan, ab aaya hai sankalp ka pal, jeet kar rahege hum swachhta ki jung’ (Every individual is empowered now, as the country progresses towards cleanliness, now is the time for a resolution that will help us emerge victorious in this battle for cleanliness), says Prime Minister Narendra Modi on Wednesday as he announces the launch of ‘Swachhata Hi Seva’ movement yet again this year building up to Gandhi Jayanti on October 2. PM Modi through a series of tweet and a video message asked people to join the movement and – a swachh and swasth Bharat. The ‘Swachhata Hi Seva Movement’ commences on September 15. We all have a great chance to give our tribute to Mahatma Gandhi. From children to adults, Kashmir to Kanyakumari and Kutch to Kohima, I urge every individual to be a part of this cleanliness mission and help us meet Clean India targets by October 2, 2019, said PM Modi. On October 2, we mark the start of Gandhi Ji’s 150th birth anniversary. It is also the day Swachh Bharat Mission completes 4 years of being a historic mass movement aimed at fulfilling Bapu’s dream of a Clean India. I salute all those working towards a Swachh Bharat! 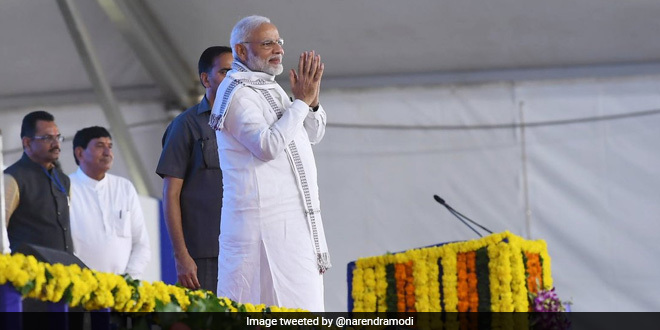 PM Modi also asserted that because of the swachh efforts of the people in the country today, in past four years, 8.5 crores toilets have been constructed, 90 per cent of the population in the country has been made free from the age-old practice of open defecation. In 2014, mere 40 per cent of the Indian population had the access to safe sanitation practices. Today, more than 4 lakh villages in India, 430 districts, 2,000 cities and towns and 19 states and Union Territories have been successfully declared ODF. This has been possible because of the efforts of all the swachhagrahis out there. Moreover, World Health Organisation has stated that because of toilet usage and construction in the country in the last few years, more than 3 lakh lives has been saved.